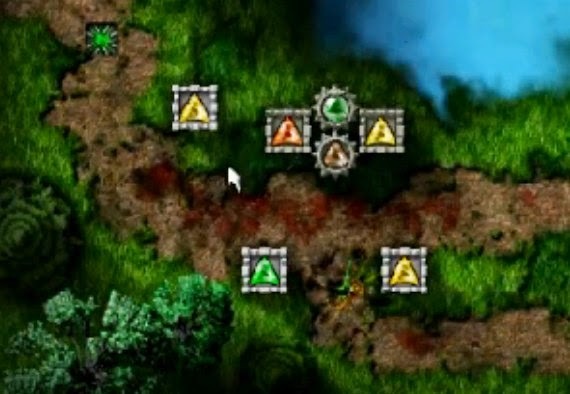 Gemcraft Chasing Shadows is the latest installment in the acclaimed browser based tower defense game by gameinabottle. TD games has become more and more epic and complex these days and GCS is no doubt one of the leaders in this genre. More than 140 stages to explore! -25 passive skills you can spend skill points on; every time you level up, you get more skill points to spend, but even unspent points help you by giving mana at the start ot battles! -More than 400 achievements that give you additional skill points, and a real challenge if you want to get them all! -9 battle traits with 7 levels of toughness each, and 3 battle difficulty tiers - mix them and stack them to fight tough battles for more XP and epic loot! -Find talisman fragments you can socket into your talisman for a wide variety of battle bonuses. -9 gem types you can freely combine to make gems that suit your tactical needs. -Stop the battle any time or speed it up to 9x speed, play the way you like; manage your gems if you have to, or fast forward if you feel confident. -After winning a battle, you can continue in Endurance mode - defend yourself and hold on as long as you can with a chance for additional XP and loot! Meanwhile, I collect videos of GemCraft Chasing Shadows walkthrough from everywhere so if you happen know where to find one, please drop me a line in the discussions below.